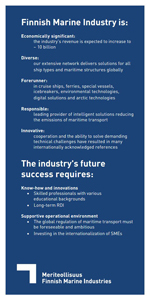 Finnish Marine Industries’ ResponSea initiative is about creating sustainable maritime together for the future world. Find out more in our brochure, or in our ResponSea section. Brochure in English on the left and in Russian on the right. 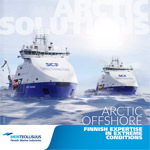 Examples of smart Finnish ICT solutions for the marine industry. 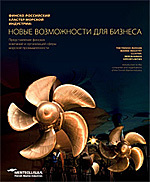 Above, you'll find the brochures in English and in Russian. 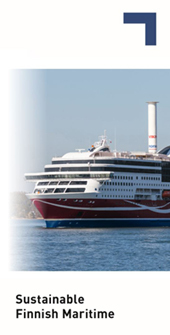 Viking Grace, the new ship for Viking Line, was completed in record time, despite the ship had brand new technology. 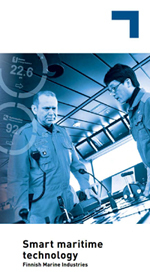 LNG gas had not been previously used as fuel in fast-moving passenger traffic. 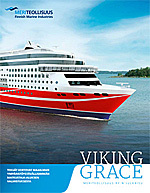 The brochure, which shows how the advanced Viking Grace was built, contains stories of ten high-end marine companies. Download the brochure by clicking the image. 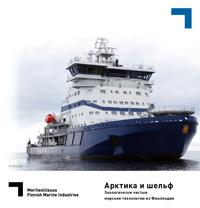 A brochure named “The Finnish-Russian Marine Industry Cluster: New Business Opportunities” was published in the fall of 2013 in St. Petersburg. 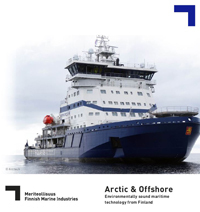 The brochure is bilingual and introduces the Finnish marine industry's companies and organizations. 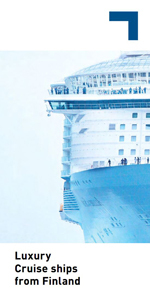 Download the brochure by clicking the image.